A cyclist who crashed her bike during a race is in a critical but stable condition in hospital. 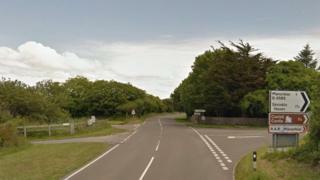 The woman was taking part in the Long Course Weekend when her bike collided with a car just before midday on Saturday. She was airlifted to hospital after the crash on the A4139 near Manorbier, Pembrokeshire. Dyfed-Powys Police is investigating the incident.